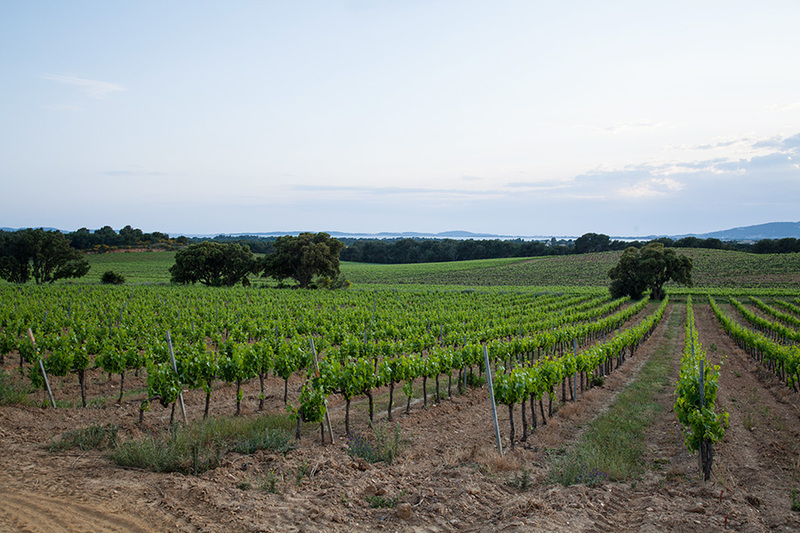 Inside the very large Côtes de Provence appellation, white wines of the seaside town of La Londe were somewhat late in joining the red and rosé wines of the same specific terroir—essentially owing to their rarity. Nonetheless, our local area has long been acknowledged for successful production in this colour and this is why the Ott family – winemaking pioneers of the region – had already assigned their La Londe vineyards exclusively to whites. This vision of our long-standing former neighbours and the similitudes existing with the best Corsican terroirs – whose most successful produce remains white wines – have therefore led us to focus our efforts on this colour, which best expresses the essence of our quartz and schist soils tempered by maritime influence. With a view to creating the most ambitious illustration of this potential, we select the best stocks and best juices from the “La Bergerie” plot, the first to be planted with the Rolle variety, the queen of local whites. After selections within the plot, harvest is performed in two stages—with a first crop during the first third of the wine harvest period and a later second cull allowing to gather grapes at their optimal maturity. This harvest is then macerated at low temperature in order to extract the fruity aromas of the Rolle grapes being slowly and moderately pressed. For this cuvee, only free-run juices are kept to ensure maximum freshness. Half of the fermentation and maturing process is performed in recent oaken casks – stored in the historical vaulted cellars of the estate -, while the other half is performed in a stainless steel tank. Ageing is prolonged for nearly a whole year in order to develop the structure and body of this cuvee intended for both gastronomical enjoyment and keeping. For this cuvee, only free-run juices are kept to ensure maximum freshness. Half of the fermentation and maturing process is performed in recent oaken casks – stored in the historical vaulted cellars of the estate -, while the other half is performed in a stainless steel tank. Ageing is prolonged for nearly a whole year in order to develop the structure and body of this cuvee intended for both gastronomical enjoyment and keeping.